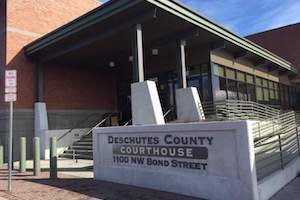 Deschutes County is Oregon’s fastest-growing area. With a population of over 158,000 that stretches across 3,055 square miles, residents enjoy year-round outdoor activities and scenic views that are highlighted in some of their major cities. 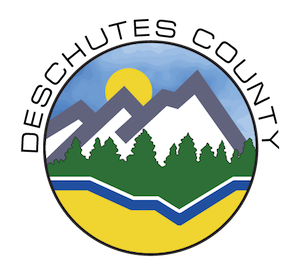 Outside of tourism, the county’s biggest industries include ranching, lumber and agriculture with 51% of the land being owned by the Forest Service. Bigger cities include Bend, La Pine, Redmond and Sisters, but there are 10 census-designated places and 10 unincorporated communities as well. Popular attractions include the Cascade Range, Mount Bachelor Ski Area, the Tumalo State Park and the Three Sisters volcanoes. If you are facing DUI charges or other related criminal offenses, you need the assistance of an impeccable and competent DUI attorney. We have over 50 years of combined experience, and understand how a prosecutor will react in most given situations because we do one thing, and we do it well. We represent good people facing DUI charges. Our team of DUI lawyers know how to read in between the lines of police reports because we’ve trained officers on writing reports. We even have a DUI lawyer with first-hand judicial experience of presiding over and ruling on DUI cases and DMV Implied Consent license hearings. Most importantly, we understand how to use this knowledge to help the people we represent. While it is legal to represent yourself in court, it is a frequent and devastating mistake because a conviction has such a great impact on your future. While there are penalties such as costly fines and jail time that you can face, there are other penalties that last far beyond the courtroom. Those consequences can lead to barriers to employment, destroyed relationships with friends and family members, road blocks to finding housing, and other problems. Once you obtain legal counsel from a competent DUI attorney, you case can be strengthened which ultimately minimizes devastating negative consequences. While we prefer you hire our team of DUI lawyers, even if you hire another firm, make sure you obtain the services from a professional who specializes in DUI laws and has a solid relationship with members of the court in Linn County. If you need help with resolving DUI charges and other related criminal charges, please contact Reynolds Defense Firm immediately by using your preferred communication method of choice. We are here, we’re solid, and we are very good at what we do. To set up a free consultation over the phone, please call us at 503-223-3422. If you prefer to send a message, feel free to chat or text us with our 24/7 live chat service, by submitting an online form on this website. We will be happy to help answer your questions and figure out what the best steps are for you and your case.